Secondary Inscription: Inscribed first modern flyleaf, in pencil, "Quaritch 1910". Inscribed second modern flyleaf, in blue ink, inscription by J.R. Abbey detailing provenance from 1815 to 1946 (see file for Provenance). Inscribed last modern flyleaf, recto, upper right corner, in blue ink, "J.A. 3174.16:9:1946"; lower left corner, in pencil, "11551". Inscribed first original flyleaf, verso, in pencil, "£850 Testamentuum Novum, latin. edit vulgata. Ms. membr. XI saec. 198 ff. y compris 4 ff--, à 2 col., avec de superbes gr. lettres initiales enlum. / Ce ms. avait appartenu au mon. des Carth. / de Dijon." Inscribed fol. 2v, in a twelfth-century hand (? ), in ink, "Iste liber est domus sancte trinitatis ord[inis] Cartusiensis prope Divionem". Inscribed fol. 3, inner upper margin, in a twelfth-century hand (? ), in ink (visible with UV light), "Iste liber est ecclesie Sancti Mariani autissiodurum ordinis premonstraten[sis]". Inscribed fol. 196, second column, midpage, in a twelfth-century hand, in ink (visible with UV light), "Iste liber ..." (same inscription as on fol. 3[?]). Some signatures [A] to BB, in a later (fourteenth-century?) hand. R. H. Evans Auction House, London. Catalogue of the Valuable Library of James Edwards, Esq. April 15, 1815, p. 42, lot 818. Winstanley, Liverpool. Catalogue of the very select and valuable library of William Roscoe, Esq. : which will be sold by auction by Mr. Winstanley ... on Monday the 19th of August, and thirteen following days (Sundays excepted). August 19, 1816, lot 1809. Sotheby, Wilkinson & Hodge, London. Catalog of a Portion of the Valuable Collection of Manuscripts, Early Printed Books &c. of the late William Morris. December 5, 1898, p. 112, lot 155. Sotheby, Wilkinson & Hodge, London. Catalog of the Valuable Library of Ancient Manuscripts and Valuable and Rare Printed Books. December 3, 1906, p. 65, lot 617. Swarzenski, Hans. 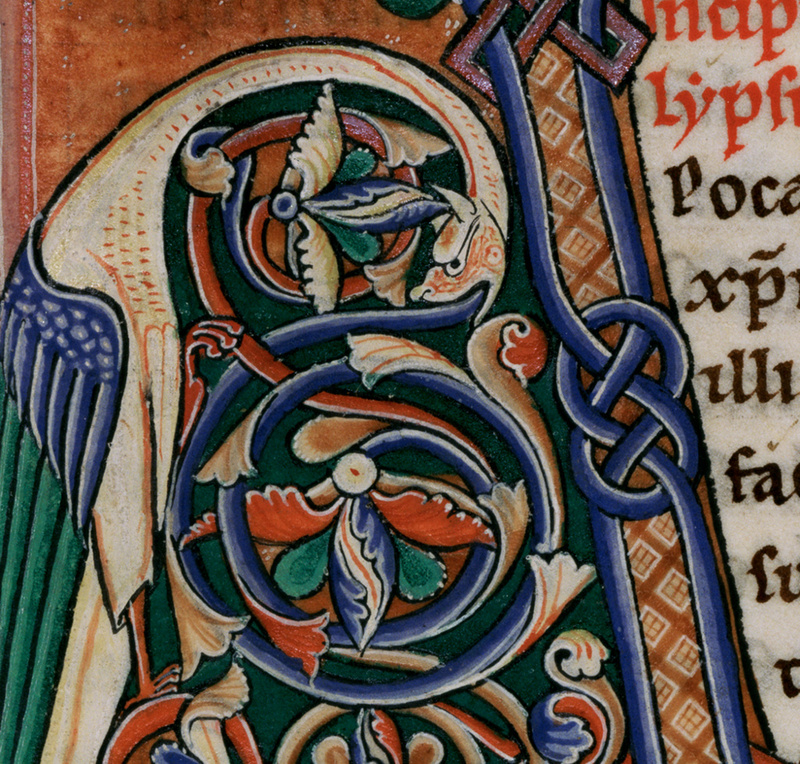 "Fragments from a Romanesque Bible." Gazette des Beaux Arts 62, 6th series (1963), pp. 71-80. Branner, Robert. "The Mannerius Signatures." Art Bulletin 50 (1968), p. 183. Sotheby's, New York. Catalogue of The Celebrated Library: The Property of the late Major J. R. Abbey. June 4, 1974, lot 2907,figs. A, 4-5. Cahn, Walter. "A Twelfth-Century Decretum Fragment from Pontigny." The Bulletin of the Cleveland Museum of Art 62, no. 2 (February 1975), pp. 47-59. Branner, Robert. Manuscript Painting in Paris During the Reign of Saint Louis: A Study of Styles (Berkeley: University of California Press, 1977), pp. ix and 139. Kraus, Hans P. In Retrospect: A Catalogue of 100 Outstanding Manuscripts sold in the last four decades by H. P Kraus (New York: H. P. Kraus, 1978), no. 18. Euw, Anton von, and Joachim M. Plotzek. Die Handschriften der Sammlung Ludwig. 4 vols. (Cologne: Schnütgen-Museum, 1979-1985), vol. 1 (1979), pp. 58-62. Nordenfalk, Carl. Review of Die Handschriften der Sammlung Ludwig, by Anton von Euw and Joachim M. Plotzek. Kunstchronik 33, no. 2 (February 1980), pp. 55-67 (esp. p. 63). "Manuscript Acquisitions: The Ludwig Collection." The J. Paul Getty Museum Journal 12, 1984, p. 282. Neff, Amy. "Wicked Children on Calvary and the Baldness of St. Francis." Mitteilungen des Kunsthistorischen Institues in Florenz 34, no. 3 (1990), pp. 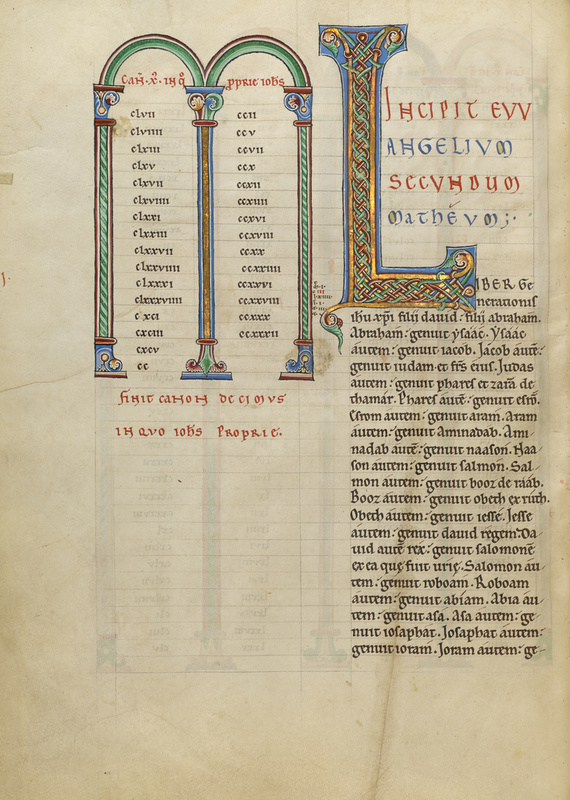 215-44; 20 ill.
A Thousand Years of the Bible: An Exhibition of Manuscripts from The J. Paul Getty Museum, Malibu [...], exh. cat. (Malibu: J. Paul Getty Museum; Los Angeles: University of California, 1991), fig. 4. Bondéelle-Souchier, Anne. "Bibliothèques de l'Ordre de Prémontré dans la France d'Ancien Régime." Vol. I. Répertoire des abbayes. Documents, Études et Répertoires Publiés par l'Institut de Recherche et d'Histoire des Textes, vol. 58 (Paris: CNRS éd, 2000), pp. 54-55. Kren, Thomas. French Illuminated Manuscripts in the J. Paul Getty Museum (Los Angeles: J. Paul Getty Museum, 2007), pp. 6-7, ill.
Morrison, Elizabeth. Beasts: Factual & Fantastic (Los Angeles: J. Paul Getty Museum; London: The British Library, 2007), pp. 39, 42, fig. 31. Sciacca, Christine. Building the Medieval World (Los Angeles: J. Paul Getty Museum; London: The British Library, 2010), pp. 2, 82, fig. 80.